Which is the Office Chair for You? 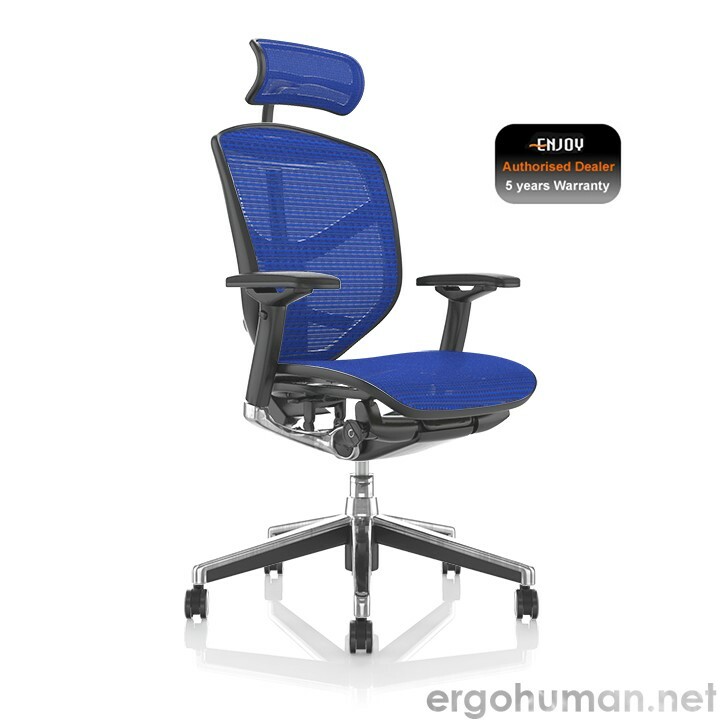 What is the difference between the Ergohuman Elite office chair and the Ergohuman Plus Luxury? Synchro-Tilt. Both the seat back and the seat pad can be tilted, to afford maximum comfort to its user. 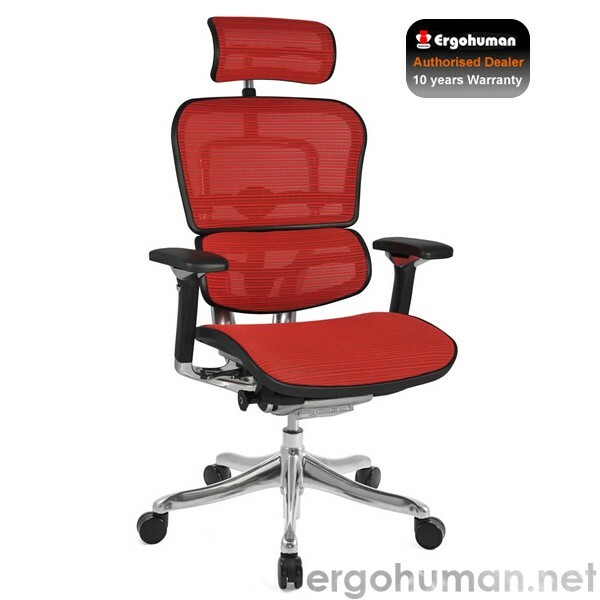 Once the back is at your desired position, it is also tension-adjustable. Tilt-Lock. By using the appropriate mechanism, you can unlock the back rest to recline and you can lock it for a fixed position. Tension Control. This allows you to rock a little in your chair and the tension can be adjusted to match a body weight of up to 250 pounds (17 stones 12 lbs.). Seat Depth Adjustment. Getting this position right means that your back is still in contact with the seat back and your thighs are fully supported, allowing your knees to fold comfortably without any seat abrasion. Seat Height Adjustment. It’s important that your feet rest flat on the floor, so getting the seat pad height right for you will allow your feet to do just that. Arm Rests. They adjust up and down, forward and backwards and also left and right, meaning that they can be made very comfortable for you and help keep your lower arms horizontal, as they move towards the keyboard or office desk. 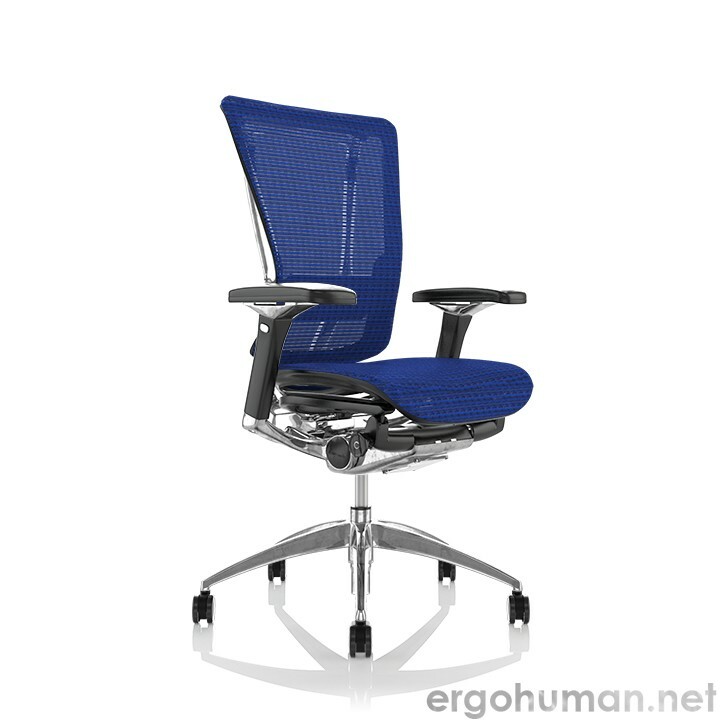 The Ergohuman has straight aluminium legs, whereas the Ergohuman Plus has a curved design. 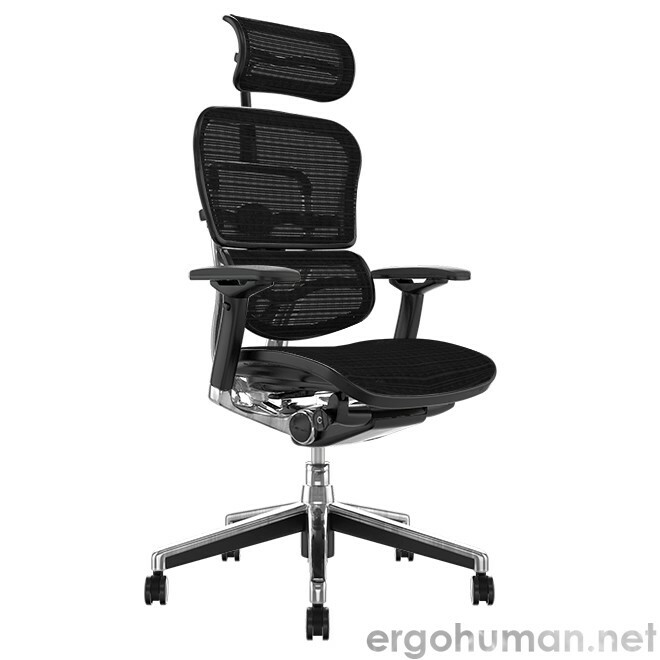 The arm rests on the Ergohuman chair are black, whereas those on the Plus sport an aluminium linkage under them. On the Plus, they are also further away from the chair. That gives you more room to get in closer to your desk. The latest model has a black cover over its under seat mechanisms but the Plus reveals its aluminium linkage. The head rest linkage is black on the and aluminium on the Plus. 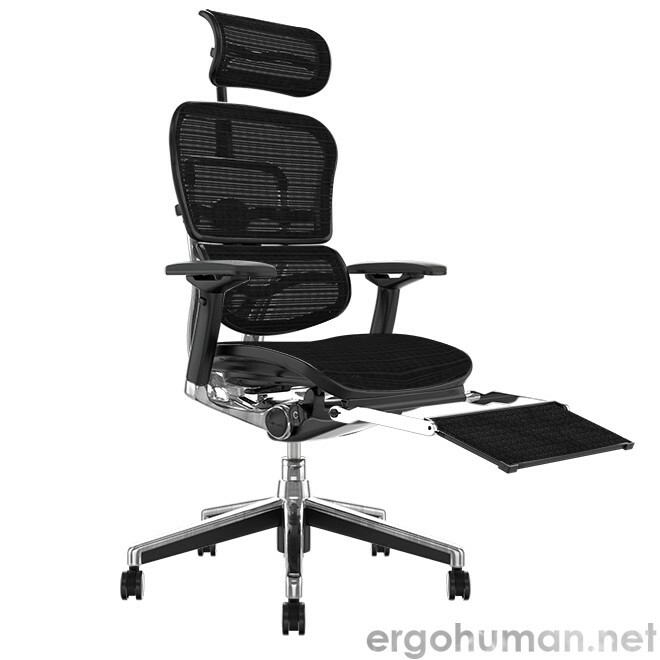 The aluminium frame on the chair back is narrower on the Ergohuman Plus design. Though most of these differences may seem cosmetic, they add to the overall beauty of the chair, which encourages us to make choices. On top of these considerations, you need to decide between mesh and leather. Which one is right for you?